Sugar Palm Vacation Rentals provides an entirely unique class of professional marketing, management and caretaking services previously nonexistent in the vacation rental market. We call it: Professional Rental By Owner – a comprehensive offering, combining the benefits and business acumen of a property management service with the personal, service-oriented touch of Rental By Owner. Sugar Palm Vacation Rentals’ distinctive collection of vacation properties connects discerning travelers with quality property owners to provide memorable, confident, seamless, carefree experiences for everyone involved. Sugar Palm Vacation Rentals’ Professional Rental By Owner service is the brainchild of two well-known industry veterans, Christine Karpinski and Jeff Marken. When Karpinski (the indisputable Queen of Rental By Owner) and Marken (vacation rental industry pioneer) consolidated their personal vacation home collections marketing and management, they experienced groundbreaking economies of scale and business efficiencies that they’re passing along to home and condo owners in the Destin-area in the form of Professional Rental By Owner services. Jeff and Christine, along with their experienced team of operations, marketing, guest services, maintenance, and housekeeping experts, now manage the most distinctive vacation rental homes and condos in Destin, Crystal Beach, Sandestin, Miramar Beach and Panama City Beach, with a collective valuation of over $50 Million. They've been extremely successful in scaling the Sugar Palm Vacation Rentals home and condo collection, while still maintaining a personalized touch that provides travelers and property owners with the best experiences possible. 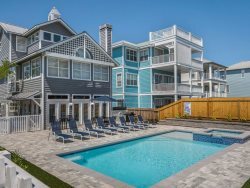 Own a Vacation Home in Destin? Your Destin vacation rental home or condo should be a blessing, not a burden. Too often, second homeowners hand over their well-loved properties to over-promising property management services, only to be left disappointed when they still find themselves having to worry about upkeep, cleanliness, guest screening and personalized guest services. Stop worrying. Sugar Palm Vacation Rentals provides a unique class of service previously non-existent in the vacation rental market. We call it Professional Rental By Owner. With our services, you'll benefit from the business acumen of a property management service, while being able to deliver the caring, personal touch of a Rental By Owner experience to each and every guest who stays in your vacation property. Sugar Palm Vacation Rentals treats your home to the best marketing, guest screening, management, caretaking, and guest services in the business. You can scour the globe and you will not find a team anywhere with more experience, know-how, passion or expertise in the vacation rental industry. Our transparent management processes and clear, consistent communication will give you confidence in our services, and our services will allow you to make the most of your vacation home investment - without having to worry about the details. Backed by more than 20 years of experience and research, we have this process down to a science, and we've perfected the formula to maximize your ROI. Our expertise in marketing and preparing your home or condo for rent will command higher revenues, and attract the highest quality guests who will treat your home as if it were their own. It’s not just a game of heads in beds for us; it’s about putting the right heads in the right beds. The bottom line is, Sugar Palm Vacation Rentals is an extension of you. Working with us means turning your Destin area vacation rental home or condo into what it was meant to be – a successful, worry-free investment, and a haven for creating unforgettable experiences with friends and loved ones. Christine wrote the book on Rental By Owner...Literally. Backed by 20 years of experience and research, she has turned the vacation rental business into a science, and her eye for vacation home and condo marketing is as sharp as her wit. As she built her dynasty of vacation rental properties (renting them without the use of a property manager), she became the undisputable Queen of Rental By Owner. Christine also worked for HomeAway,Inc (the company that owns VRBO.com, VacationRentals.com, HomeAway.com ) She played an integral role in the development and growth of vacation rental juggernaut with her greatest accomplishment as the work she did for the acquisition of VRBO.com. 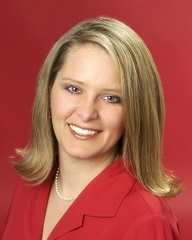 Christine has as since joined Jeff Marken as co-founder of Sugar Palm Vacation Rentals. She rules the industry with a Midas touch, turning every property she manages into absolute gold. Christine is based in Austin, Texas (but she is in Destin 4-6 months out if the year) is married with one adult son and dog, Piccolo, and in her downtime travels with family and friends and reads everything she can get her hands on. Jeff built VRBO.com…literally. He was the first website developer for VRBO.com. Jeff has been in the travel business for over 30 years. He spent much of his early career working for major airline companies (Eastern Airlines, United Airlines) and vacation rental companies, like VRBO.com (he built the VRBO website from the ground up) and Owner Direct Vacation Rentals. He has spent the last several years building his portfolio of vacation rental properties, perfecting the rental processes and forming Sugar Palm Vacation Rentals with Christine Karpinski. As a pilot, Jeff has a great eye for the big picture. His bird's-eye view allows him to see over projects holistically, but his thousand-point pre-flight safety check keeps him meticulous and detail-oriented - these qualities translate into everything he does. Outside of work, Jeff enjoys traveling, piloting aerobatic maneuvers, and spending time with his wife, daughter and his two dogs, Ladybug and Gracie. Director of Operations. Master of dotted "i" an crossed "t". Rae comes to Sugar Palm rentals with over 18 years of experience in the hospitality industry. Rae's responsible for all things operations related at Sugar Palm Rentals. She's the one who works behind the scenes making sure everyone and everything is running smoothly. Rae's past experience in the hospitality industry is an asset to our company. She loves to roll up her sleeves, get out in the field, greet guests, take reservation calls and she's been known to make friends with guests staying in our homes. Rae is a loving mom of loving children and is one of the rare natives who was born and raised in Destin. She enjoys spending time with her children and relaxing at home. Sherry comes to Sugar Palm Rentals as a veteran staff member of Christine. She has been cleaning, maintaining and inspecting for Christine for over 10 years. Because she worked so closely with Christine, she knows exactly how to uphold the highest standard in cleaning. Her daily responsibilities include managing Sugar Palm Vacation Rentals housekeeping staff, managing linens and property inventory, completing property reservations and tending to guest services and needs. Sherry's number one priority is ensuring the guest experience is nothing less than perfect, and she handles the details with ninja-like precision and skill. In her free time, Sherry enjoys spending time with husband, family, and friends, relaxing her special getaways with her sisters. Vanessa has extensive experience in both project management and customer relations. When Sugar Palm Vacation Rentals takes on a new property, it needs to be brought up to Sugar Palm Vacation Rental standards – this is where Vanessa comes in. She is a logistics savant, and manages every detail of property on-boarding down to a T. Her day-to-day responsibilities include reviewing inventory of items needed at each property, equipping and decorating rentals, researching, budgeting, and assisting with guest inquiries and reservations. Her extreme attention to detail is vital in ensuring each and every guest experience lives up to the Sugar Palm Vacation Rental standard. Vanessa is also based out of Austin, Texas (but comes to Destin whenever we have new properties that need her attention) is married with two grown sons. In her free time, she enjoys spending time with friends and family, sewing, watching college football and working on projects around her house in Austin, TX. Cierra comes to Sugar Palm with experience in the hotel industry (oh oh! did we just mention the forbidden "H" word). She's responsible for all things reservation related. Cierra is on the phone alot! Cierra is responsible for the full gamut of guest communications, from responding to inquiries to calling you to let you know your home is ready when our guests arrive. She's also responsible for posting on Facebook and other social media channels. Cierra is also Destin native. On her off time, she enjoys hanging out with her boyfriend and friends. Kathy was first hired as a part-time Spanish translator to help us liaison with Spanish-speaking guests but we quickly realized that Kathy had way more skills than just being bi-lingual. We were delighted when Kathy joined our team as a full time, guest experience manager. Her day-to-day responsibilities include training housekeepers, rounding up all the sheets, towels, and guest supplies for the homes and meticulously and methodically inspecting the homes to sure everything in the homes is perfect for our guests’ arrival. Kathy lives on Okaloosa Island and enjoys spending time with her adult son, traveling and taking long walks on the beach. Shannon has 10 years of experience in the vacation rental industry, starting fresh out of college with VRBO.com, working her way up the ladder over an 8 year period while the company went through its merger with HomeAway. Shannon took a break to attend culinary school and run a personal chef business for several years. Now she's happy to be a part of the Sugar Palm team, working again for a small company with high standards. Shannon's strength is attention to detail, so you can trust nothing will be overlooked on your booking! It's important to her that every guest's vacation goes perfectly and everyone's expectations are exceeded. In addition to working for Sugar Palm, Shannon helps her parents manage their vacation rental properties. She lives in the Denver, Colorado area, and is busy making plans with her husband to purchase their own vacation rental. In her free time she enjoys reading, tending to the garden, cooking, and relaxing at home with her husband and their beloved "furries" - dogs Bruno and Roxy, plus Ruben the cat. Aquilla has over 20 years at laundry management in the hospitality industry. She manages the cleaning and sanitizing of over 2000 towels, 300 sets of sheets and numerous quilts and blankets each week. Aquilla has a passion for perfectly folded sheets and well-organized shelves which helps keep everything in our laundry department running smoothtly. She keeps us organized in the office and makes sure all of the homes are properly stocked with clean laundry. Aquilla also inspects homes on busy Saturdays and is in charge of keeping everyone in our office fed—she loves to cook for our team. When she’s not taking care of things at Sugar Palm, Aquilla loves to spend time with her family and loves to spoil her grandchildren as every grandmother does. Mary Jane comes to us with many years of experience in making all things beautiful. As a gifted artist, painter and home decorator, we are lucky to have her on our team. She's responsible for choosing colors, furniture, and creating many original pieces of artwork that make Sugar Palm Rental's homes so uniquely beautiful. She's also the co-owner of So Stinkin' Cute art studio and gift shop in Niceville, Fl. Mary Jane lives in Destin and when she doesn't have a paint brush in her hands, Mary Jane likes to spend time with her daughter and husband. Sandy, Chris, Willa, and the entire housekeeping team are all experts in property upkeep. Quietly working backstage to keep Sugar Palm Vacation Rentals afloat, they handle the lead-up to guest arrival impeccably, completing a variety of integral tasks including cleaning, sanitizing, equipping houses with proper guest supplies, alerting the management team to maintenance items, and more.